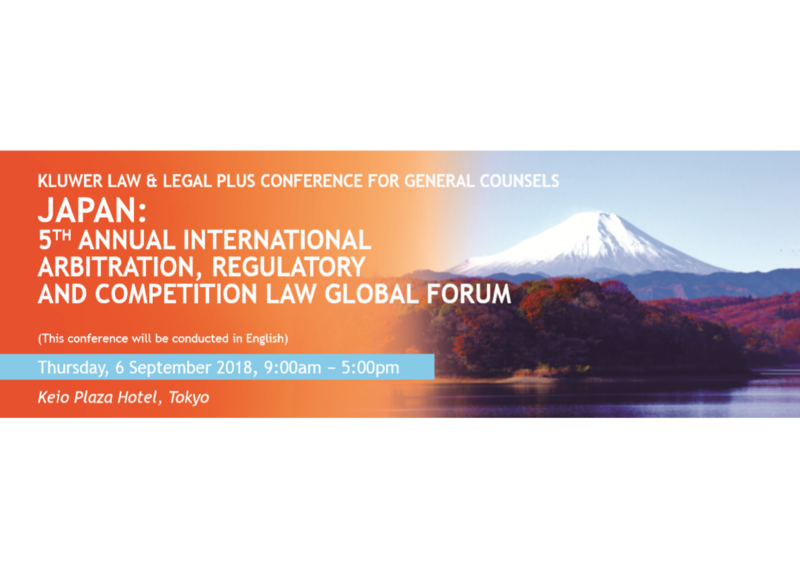 For the 5th consecutive year, Legal Plus and Wolters Kluwer Hong Kong brings back one of the most anticipated legal event to Tokyo this September. The Japan: 5th Annual International Arbitration, Regulatory and Competition Law Global Forum is scheduled on 6 September 2018 at Keio Plaza Hotel, Tokyo and will focus on covering essential updates on competition law in Asia and Japan. A variety of speakers from international firms, multinational corporations and non-governmental organisations will share latest updates through interactive sessions. The attendees will not only gain valuable insights from the experts but have a unique opportunity to network with legal professionals from across the globe. The registrations are ongoing and delegates would be entitled to a special discount (Supporting Organisation Rate) for registering through our website. If you are an in-house counsel or a government official, you may apply for the complimentary seat, which are limited and based solely on the organiser’s discretion.